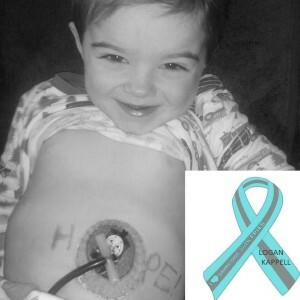 Logan’s Journey with FPIES started at about one month old, when he started to have more projectile vomiting. He was also colicky and no matter what we did, nothing helped soothe him. 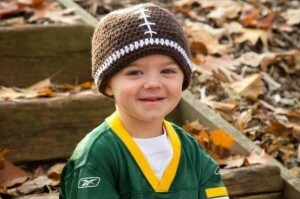 At one month, his Pediatrician had Logan admitted and quickly transferred him down to Madison Children’s hospital. An allergist confirmed that he had a milk allergy. We had then started to trial formulas, going from Good Start formula to soy, then to Nutramigen (a partially hydrolyzed formula). All were a total fail, resulting in severe vomiting, agitation, colicky behavior– he even started getting mucus diapers. They then thought that after being on nutramigen, maybe some of his issues were caused by his acid reflux. We trialed several medications and we still saw the same issues, just less acid. We would find him covered in vomit and lethargic, and his colicky stage was not ending. Finally, our Pediatrician was concerned and thought it would be best if we tried getting Logan on a more broken down (amino acid medical food) formula, so we started Logan on Neocate Infant. It was like day and night after that! The vomiting slowed down and he was more cheerful, sleeping better, more comfortable, and stools were back to normal. Logan had several scopes, tests, blood draws, and allergy testing done, yet they just couldn’t seem to pin point anything besides what Logan’s GI doctor said, Protein Allergies. When Logan was old enough to start baby foods, we noticed him having more reactions to food with the severe projectile vomiting once more. A few of the triggers from the baby food were peas, peaches, and baby rice cereal. He would get so uncomfortable hours after having them! 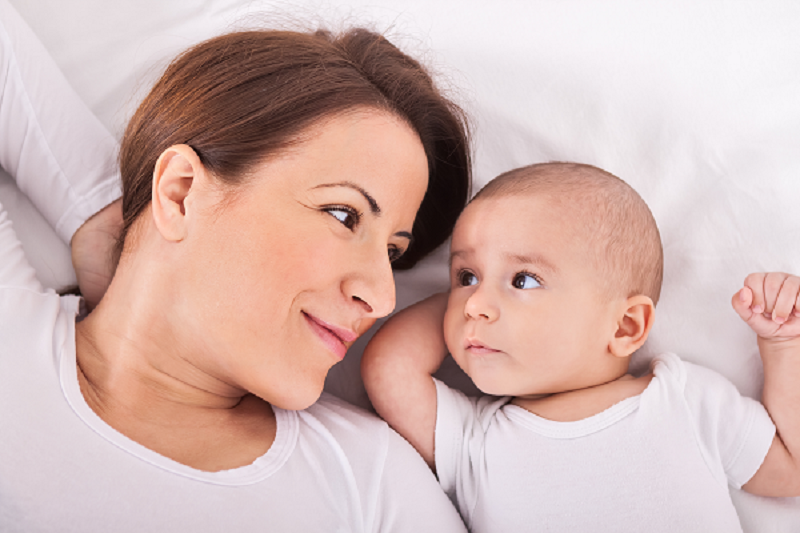 Logan’s main nutrition was the Neocate infant. At 1yr.old, we tried to introduce Logan to milk. It was a total fail and resulted in some ER visits due to the reactions– he became dehydrated. We then thought we’d try him on goat milk, soy or lactose-free milk. This was a HUGE fail, so the doctor said to try Nutramigen again; which resulted in a fail. Logan then trialed some mac and cheese but hours after eating it, we found him limp, covered in vomit and diarrhea. He was very lethargic and wasn’t himself– immediately, we knew it was the cheese/milk. Logan on another occasion tried a few bites of ice cream. Again, hours later, we’d find him having almost flu-like symptoms, but 5 to 10 times worse. We then started to introduce more foods and from there forward, we knew for sure that he was reacting to milk, soy, goat milk, shell fish, and fish. More of the new recent reactions have been to strawberries and chocolate. We haven’t really trialed peas and peaches, so we are unsure if they are trigger foods. So, at this time, we stuck with Neocate Infant. At age 2, we tried to transition him to an updated amino acid formula. It was a nightmare. Logan stopped drinking his formula and eating his safe foods. He was losing weight rapidly. We tried to flavor the formula, we tried freezing it, serving it cold or warm, in new bottles, new sippy cups…nothing mattered. We even tried to go back to the previous formula, but Logan refused to drink even that (mind you, it was his main nutrition since a month old). About a month later is when it was decided that Logan would need an NG tube to get him the nutrition he needed. He had issues with the NG tube, so he then got a G-tube. However, he couldn’t tolerate the feeds through the G-tube; so he got a GJ tube but again, he couldn’t tolerate feeds. We were referred to Milwaukee Children’s, where he got a new GJ and found out not only did he have FPIES, but also he has a partial paralyzed stomach making the FPIES matter even worse. 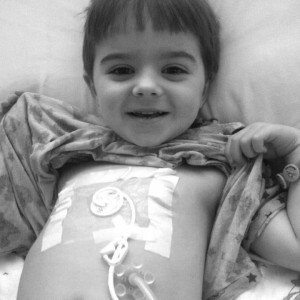 Logan had had several tests and scopes done and had received several different doctors’ opinions. Finally, at a little over 2, Logan saw an allergist in Madison, WI, for his asthma and allergies. He diagnosed Logan with FPIES right away. Finally! We felt relieved to have a doctor that knew about FPIES, and knew how to point us at the right direction! Logan’s journey with FPIES started when he was just 1 month old. Logan’s reactions take about 2 to 4 hours after consuming the food. He has abdominal pain, projectile vomiting, and diarrhea. He also becomes pale, weak, and lethargic and we see an increase in behaviors. He usually needs Zofran to slow emesis down and IV fluids for dehydration! Logan is now 3 years old and due to his FPIES and paralyzed stomach, Logan’s main nutrition has been the amino acid formula. Despite his struggles, he is fighting this rare allergy! It has been a relief to finally get some support– we love reaching out to the FPIES pages on face book for support for such a rare disease! We keep reminding ourselves that, “Everyday holds a possibility of a miracle.” We don’t ask for much for our son except prayers and for others to please follow his story! PLEASE FEEL FREE TO FIND US AS A “FRIEND” ON FACEBOOK AT “LOGAN’S JOURNEY!” THANK YOU!